Download the full text, or download individual chapters by theme or region below. Read the global press release and the Africa press release. You can also read the global press release in Spanish. View a video report, an interview with MRG’s Director of Policy and Communications and an interview with the South Asia author. Read revealing case studies from the ground in the Minority Voices Newsroom. 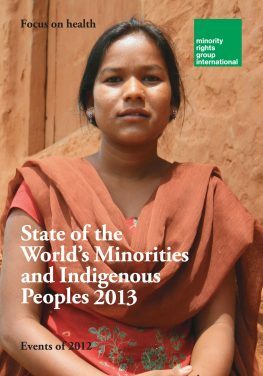 State of the World’s Minorities and Indigenous Peoples 2013 presents a global picture of the health inequalities experienced by minorities and indigenous communities. The report finds that minorities and indigenous peoples suffer more ill-health and receive poorer quality of care. 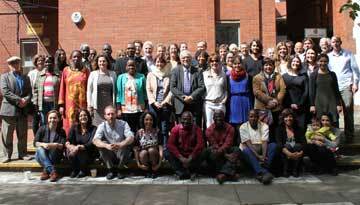 An examination of the legal standards in the area of the right to health for indigenous peoples. Interviews and case studies from minorities and indigenous communities, including examples of grassroots organizations working to address health issues. Peoples under Threat 2013 – MRG’s unique statistical analysis and ranking of countries.